I applaud their intention! Family stories are important. YOUR family story is important! Perhaps you’ve thought about your past experiences with family — the good times and the bad, but mostly the good. Maybe you, too, have toyed with the idea that you should write about them. Don’t discard that idea. 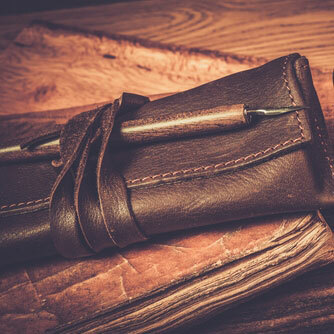 If you don’t write it, who will? I’d like to take you back to 1998, when I first decided to help write my family’s story. My mother was 92 years old. For years she had lived in the past and had told family stories that I thought were interesting. I had often thought I should write her stories down. But I never did. In 1998, I realized that if I don’t do it soon, I might never get the chance. I knew I could find and record genealogical information, but I wanted more. I wanted real life anecdotes — the joys, the sorrows, the crazy things my mother and her family did. For the next year I took notes, recorded memories, and asked my mother to write about events, places, and people that were important to her. 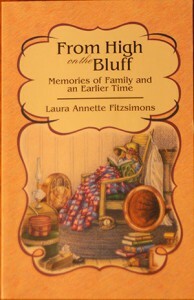 In 1999, I published Mother’s memoir, From High on the Bluff. I believed that my cousins and their families would love to have this “flesh and blood” record. I hoped that future family members would read my mother’s stories and would take pleasure in her recollections and insights. But I never knew the impact it would have — far beyond anything I could envision at the time. Her story became a family reference source. When questions are asked, her book is pulled from the shelf. And it particularly benefitted family members in financial need.My great-grandfather, Joseph Stephens, homesteaded in North Dakota in the 1800s, right in the center of the current oil and gas drilling bonanza. He struggled to make a living raising beef in a hostile environment, never knowing that a fortune lay deep below his feet. Nor did Joseph’s descendants know until 2011, the year after my mother’s death, that they had rights to riches that are now being extracted from his one hundred sixty acres. It was only after my mother’s death that I began to explore family ownership and secured a lease from a large oil company. When Brent Schellin, the oil company representative, needed help identifying and locating Joseph’s heirs, I sent him my mother’s book. She had written about many of these family members, giving him a starting point for his search. Subsequently, Brent was able to contact most of the living descendants that were due payments. Mother’s book helped solve a family mystery, as well. She wrote about a cousin who, when they were teenagers, came to stay with her family on their Wisconsin River Valley farm. I elaborated on this phase of my mother and Gusta’s life in Bittersweet Harvest. and the soon to be released, Puppet on a String. After she returned to Texas, Gusta remained in contact with her Wisconsin family. My grandparents, Will and Elizabeth Fitzsimons, and later my mother, went to visit her in Texas. Gusta and her husband visited Mother’s family in Mineral Point, Wisconsin. Then Gusta’s husband, an oil company chemist, decided to return to his homeland of Argentina. Brent Schellin, the North Dakota oil company representative, after reading about Gusta in mother’s book, traced Gusta to her unhappy demise. 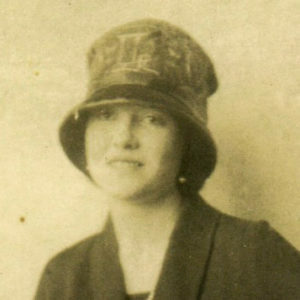 He discovered via a US State Department document that Gusta and her husband, Luis, returned to Texas from South America and then, in 1934, divorced. Gusta remarried but in 1935 divorced again. Soon after, she took back her maiden name, Stephens, and returned to Argentina. A few years later, in the midst of World War II, she apparently decided to return home. Tragically, on December 28, 1943, she disappeared off a ship bound for the US. The ship had once been named the Campana, and had been owned by France. In 1940 it had been seized by the Argentines and renamed the Rio Jachal. Argentina, at the time, was known to be sympathetic to the Nazis. In 1943, Juan Peron and his generals overthrew the legitimate Argentine government. My mother didn’t live long enough to learn about Gusta’s tragic end. However, because of her book and the interest it stirred in Brent Schellin, we know the rest of her story. I began my journey by writing Strawberry Summer, a novel about my mother (I called her Catherine in the book) in her old age. Midway through the writing my grandson Wyatt was born. I felt compelled, then, to write Wyatt’s Woods, a children’s chapter book set in Door County, Wisconsin. I made Wyatt the lead character. I whizzed through a first draft. Although I was reading how-to books and getting expert help with Strawberry Summer, I had no such help with the first draft of Wyatt’s Woods. It didn’t come out quite right and I shelved it. I then began writing what I thought would be my second book, about Catherine growing up on a farm in southwest Wisconsin. 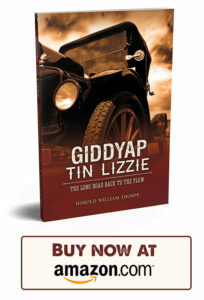 Soon after Giddyap Tin Lizzie came out, my nine-year-old neighbor stopped over, and nagged me into pulling Wyatt’s Woods off the shelf. I completed it and published it in 2013, about the same time as Bittersweet Harvest. With three more grandchildren by then, I felt compelled to write three more children’s books: Aubrey’s Attic, Grayson’s Garage, and Bellamy’s Ball. I call each book in this children’s series A Good Friends Storybook. They’re all about nice kids doing nice things for others. And I describe each as “A Fantasy Ice Cream Cone with Historical Sprinkles on Top.” They all include talking animals, but each story has a historical underpinning. I have now published four novels and four children’s books! All connected to my family and Wisconsin and the places we love. None of these books would have been written if I hadn’t talked my mother into writing her life story, and then allowed myself to try to put them into stories. You just never know what effect recording your family’s history may have. My mother had no idea where her family history would lead. And you can’t know where your family story will go or what delights it’ll produce. It’s like throwing a bottle with a message into the ocean. Your story begins its journey to an unknown destination, but where it ends may affect the lives of your family now and for years to come. But they’ll never experience the joy of discovering this treasure if you don’t start writing your story. There’s no better time to begin than right now! You undoubtedly have family members who would love to know your family’s history. They’d like to know about grandparents, aunts, uncles, and cousins—their personalities, idiosyncrasies and the adventures they’ve experienced. Plus, you never know when your grandchildren or great grandchildren will want to know more about you and the rest of the family. All cherished family information may be lost if someone doesn’t write it all down. If you have the motivation to have read this far in Write Your Family Story, you may be the only one in your family who will take on the task. And you can never know what impact it might have on all those family members who read your story. The books based on my mother’s memoirs, collectively called the O’Shaughnessy Chronicles have been well received. You can buy them online and in local bookstores, or look in the sidebar and you will find links to download sample chapters. Check them out and let me know what you think! Write Your Family Story was a regular feature in my e-newsletter. We are now posting updates to the entire series online. Subscribe to receive notification when new article are posted or when the next books of the O’Shaughnessy Chronicles are released. We are actively updating and republishing all the articles in the Write Your Family Story series. In addition, we will be pulling all 8 articles together into a single downloadable PDF. Join my email list to receive updates and the link to that document as soon as it is ready.